The price that Portuguese families pay for the water they consume has never been so different, depending on the municipality where they live or the size of the family. 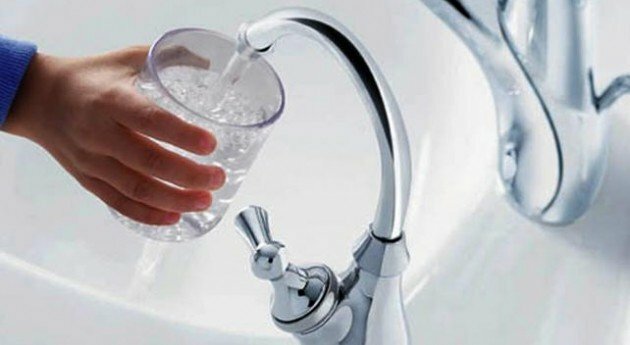 These are the conclusions of the Water Study promoted by the Portuguese Association of Large Families (APFN) for the year 2018, which can be consulted here. The study, which is in its fourth edition, reveals that families continue to be discriminated against in access to water, according to their size and the municipality where they live. Families are penalized in size as the value charged per cubic meter consumed is not only not the same for all household members as it goes up as the household grows. The municipality of Trofa is the one that denotes more discrimination by the family dimension: a family with seven elements pays 14 times more for water than a person living alone. Specifically, a person living alone pays per year € 46.55 and a family of 7 persons pays € 656.27 per year. To be fair, this municipality should charge € 325.85 for the water consumed but, instead, it charges more than double the cubic meter, when compared to the first with the last element of the household. Concerning the differences between municipalities, they can reach 25 times more. A person living alone in Terras de Bouro pays € 0.54 per month and the same person in Vila do Conde pays € 13.26. Within the same district, discrepancies also occur. Porto is the district where there are more differences in water prices. A family of 3 elements in Felgueiras pays € 104.52 annually and the same family in Trofa pays € 279.57 annually, that is almost three times more. The APFN stresses that the value to be paid for a glass of water must always be the same, and its price cannot depend on the number of elements that compose the household or the municipality where the families live. On the other hand, the billing of water must always be made in a per capita consumption logic, taking into account not only the descendants but also the ascendants that can be part of the household. The construction of tariffs should ensure that, in principle, the same consumption per capita should correspond to the same price per cubic meter. The construction of water supply tariffs is a responsibility of the local power and the APFN is available to assist in its construction in order to make them fairer and more equitable for families. The regions that still have the least difference in the price of water to pay are the Autonomous Region of Madeira and the Autonomous Region of the Azores. With regard to mainland Portugal, the district of Setúbal stands out, with the greatest homogeneity in water prices in 2018. The largest discrepancies in the amounts paid by families due to their size are in the districts of Vila Real and Porto. Conversely, the best tariffs taking into account the size of the family are in the districts of Viana do Castelo and Faro. In 2018, 10 new family tariffs appeared, bringing to 196 the number of municipalities with a family water supply tariff. However, there is no standard model for the construction of these tariffs and its effectiveness does not always meet the objectives of its creation. The district of Lisbon has the highest percentage of municipalities with a 100% family tariff, followed by the district of Santarém, with 95%. Closing the podium, 94% of the municipalities of Aveiro have a family tariff in effect. The Guarda district has the lowest percentage of municipalities with a family tariff (21%), followed by Bragança and Viseu with (42%). The APFN also draws attention to the volatility that exists in the treatment of tariffs by municipalities, which may register significant differences from year to year, penalizing families and withdrawing their ability to forecast family expenses. For example, the municipality of Castelo de Vide in 2016 occupied the 291st position in the ranking, moving to the 5th in 2017 and descending again to position 228th in 2018. The Water Study was carried out with the sponsorship of the Millennium BCP Foundation. Download the full 2018 Water Study Report here (pdf, in Portuguese).